Richie Sambora didn’t jump — he was pushed, sources say. The hard-partying Bon Jovi guitarist left the band over “personal issues,” the group announced on its Web site this week. He was replaced at Tuesday night’s show in Calgary, Canada, by Theofilos “Phil X” Xenidis, who also filled in during Sambora’s second stint in rehab in 2011. Sambora might also be depressed over the lackluster sales of his latest solo album, Aftermath of the Lowdown, on which he was said to have spent $1 million of his own. He also lost several million dollars in his failed clothing company, White Trash Beautiful. 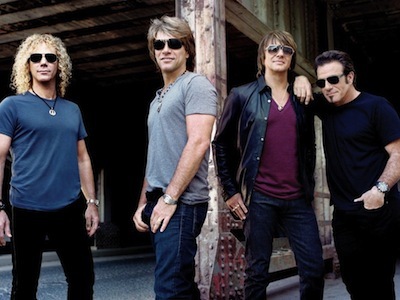 First off, let me say that I can’t stand Bon Jovi and I think Jon is the epitome of a poser. But getting Richie (temporarily) out of the band so he can straighten his life out is a good idea. The guy is a washed up lowlife, honestly. It doesn’t have to be that way. I’m a big fan of Phil X. And Bon Jovi is NOT a glam band. They are a hair band, a boy band with distorted guitars. Motley Crue is a glam band. KISS is a glam band. NY Dolls were a glam band. Bon Jovi is more like a heavy Aldo Nova or Loverboy than Motley Crue. A band is not a democracy someone has to be the leader or it will never work! Jon is the leader of the band and if Ritchie needs time off so be it. Guitar players are a dime a dozen and Ritchie can be replaced just like Alec was. Here’s hoping whatever issues there are they get resolved quickly!